The hugely popular BBC show returns on Wednesday 24 August. 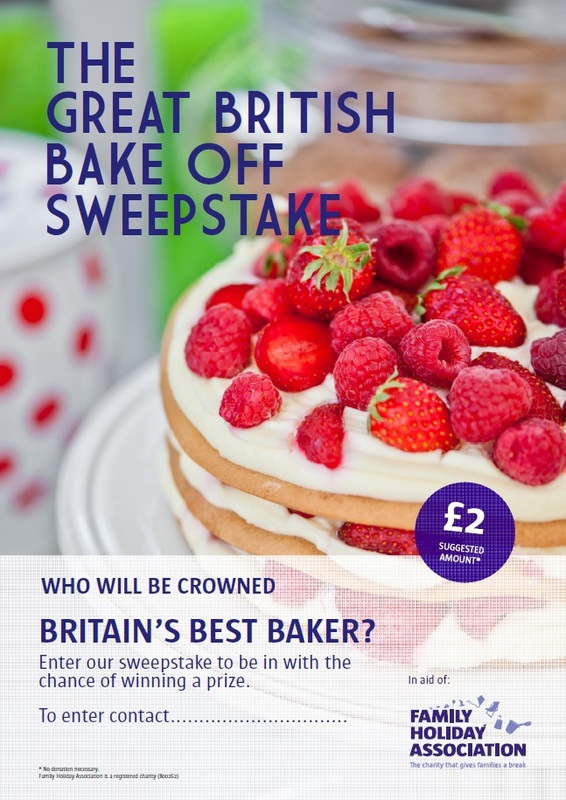 As well as enjoying the mouth watering cakes, banter and competition, why not add a bit of spice to the office and raise money for the Family Holiday Association at the same time. We’ve created a simple Sweepstake template. Simply add the names of the contestants and take a donation to enter – we’ve suggested £2 but that’s up to you. As well as ramping up the excitement, the winner can win a prize or percentage of the proceeds. Download your sweepstake template here. If you wanted truly get into a true Mary Berry mind-set, why not don your apron and organise a cake sale or run a bake off competition of your own. If sugar and spice doesn’t excite you we have loads more fundraising ideas – click here to find your next challenge.